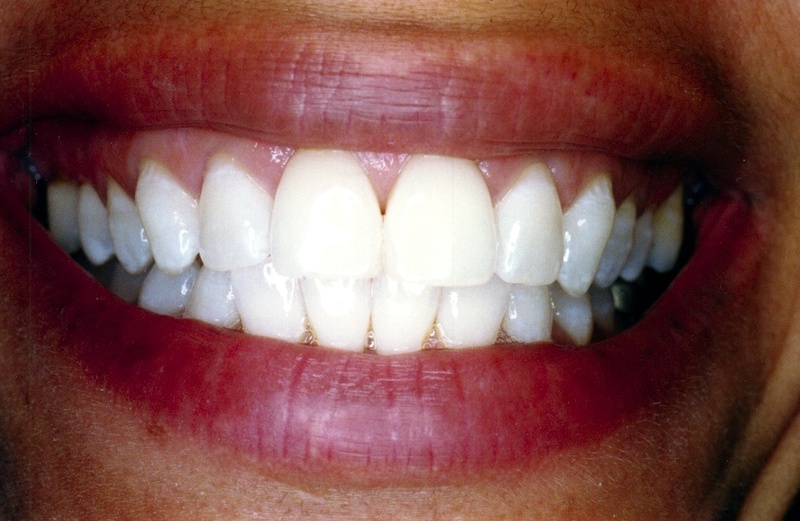 One of our patients whitening result after one treatment. Today you have many excellent choices concerning teeth whitening. #1 Whitening immediately following teeth cleaning is an excellent and inexpensive option because at that point your teeth are the most susceptible to the whitening as the tooth film and stains have been removed. This system called Sinsational Smile is done in our office, takes 20 minutes and utilizes a LED accelerating light to help activate the gels whitening ingredients at a faster rate, resulting in a brighter smile and whiter teeth in less time. The cost is $ 110. if done immediately following the teeth cleaning appointment. If done at a separate appointment, the cost is $150. Either way, also included is a take-home maintenance whitening pen to further extend your new brighter smile. #2 Whitening at home utilizing the Home Style Tray System is an excellent option. We have four different strengths of whitener to satisfy the requirements of the individual patient being whitened. Clear thin plastic custom whitening trays are constructed and a supply of whitening gels are given. The routine using this system is that the trays are worn with the gel inside for 20-30 minutes once or twice a day for approximately 1 week. 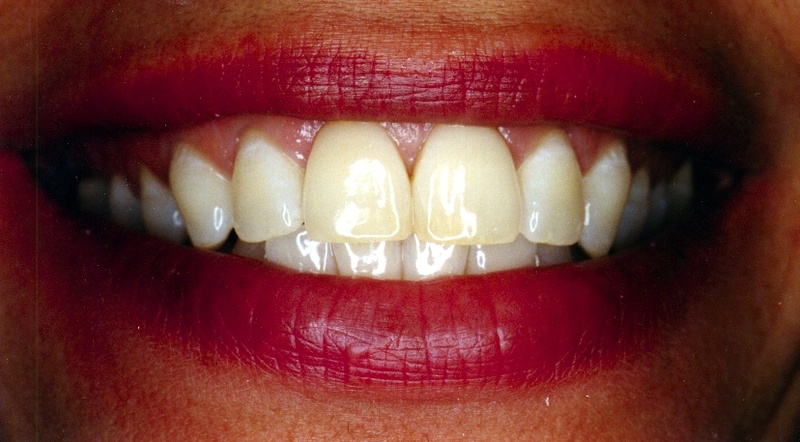 More deeply darkened teeth may take longer to whiten. This system with the custom made tray is far superior to any of the new over the counter systems like strips,etc. . The cost for this treatment is $150 and can be completed in 2 short appointments. As the year goes by, if desired, an additional supply of home whitening gel is available for $50. Also available is a very special FREE program, WHITENING FOR LIFE which is available for new and current patients. It is FREE and requires only that after an initial exam, consultation, cleaning and x-rays you return for routine preventive visits as recommended. We will provide at no cost the initial custom bleaching trays and whitening gel, then at the preventive visit we will provide a touch up kit of bleaching gel at no cost.